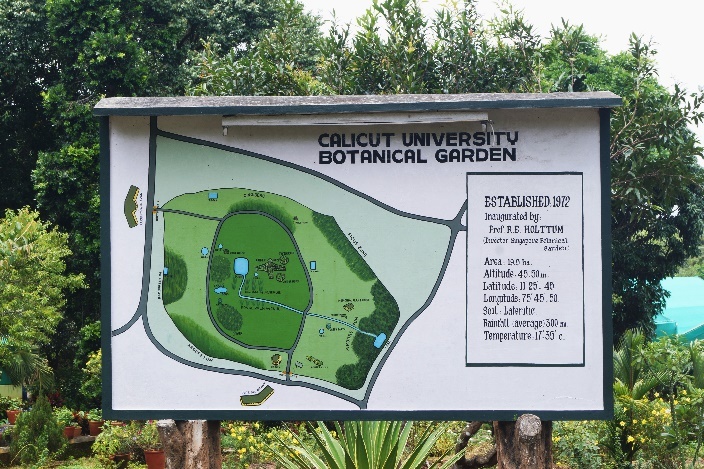 Established in 1971 in the lush green panoramic, undulating, lateritic hummocky land of the Calicut University Campus, the Calicut University Botanical Garden (CUBG), has developed into an excellent centre of biodiversity and ex situ conservation of tropical Indian flora and exotic species. The Garden, inaugurated in 1972 by Prof. R.E. Holttum, the then Director, Singapore Botanical Garden. In 1985 the CUBG has achieved international status when it was recognized by the International Consortium of Botanic Garden and Centre for World Conservation Strategy. At the entrance on the western side, the visitors are greeted by a display map and a pair of Krishna’s buttercup trees (Ficus krishnae). The Garden reception office is located close to the entrance from where the details of the garden are available to the visiting folk. The garden sprawls over 19.5 ha with a shallow basin encompassed by the slopping terrains except a narrow gap on the southern side whereit slides down to a small transitory reservoir, providing diverse habitat and niche for a variety of plants. The central shallow region is provided with a graceful, placid pool and an octagonal green house and avenues of Royal palms and Oil palms. The 1 km long motorable ring road from the main entrance on the western side touching the green house, ginger zone, Victoria pond, northern gate, bamboosetum and rockery provides extension to the arboretum, and medicinal plant conservatory enabling a quick walk/journey through the exquisite and luxuriant vegetation of myriads of hues and fragrance. 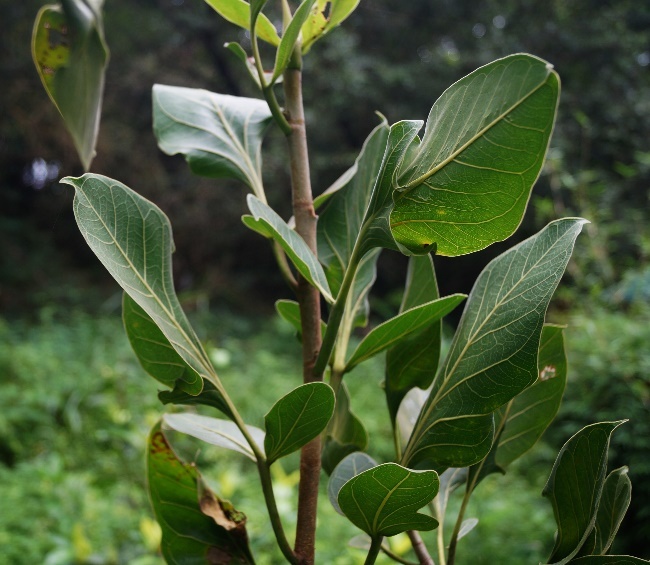 Ex situ conservation of the Rare, Endangered and Threatened (RET) plants of South India is the major thrust area of the garden. 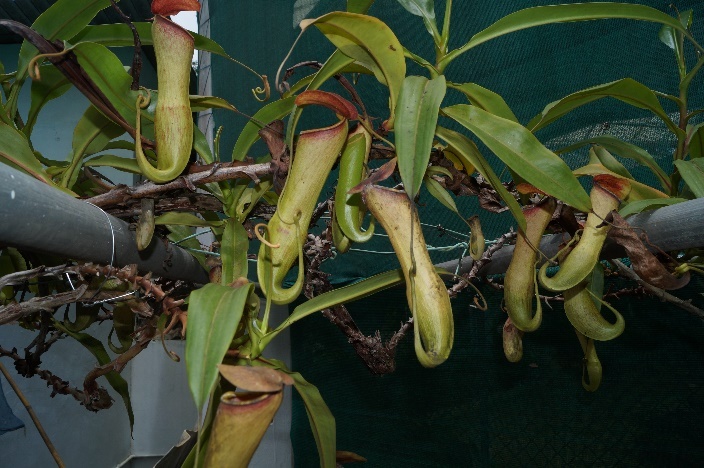 The garden also holds many curious plants such as insectivorous Nepenthes khasiana, the upside-down tree, Adansonia digitata, the giant victoria lily, Victoria amazonica and the cannon ball tree, Couroupita guianensis.